About Let’s Code Blacksburg! 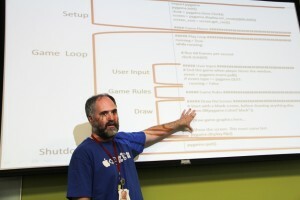 – LET'S CODE BLACKSBURG! 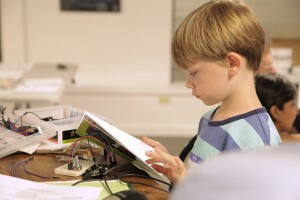 Share and Teach: by providing the opportunities for locals (from kids, to tech-learners and IT professionals) to learn new technologies and programming languages. Connect and Grow: Connect local IT experts from our technical community to community-learners and facilitate the sharing of their knowledge with the community – and in doing so grow the technical creative capacity of our community. What do we offer and who’s our target audience? What types of classes do we/have we offered? 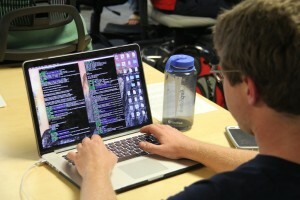 How did let’s Code Blacksburg get started? We were started by Rackspace employees in 2012 to help leverage some of the über-cool technology expertise within Blacskburg and the New River Valley to “water the grass” of our communities technological capacity. Our goals are to share and teach, and connect and grow. Since we are a group of not-for-profit volunteers, local tech companies such as Rackspace, Tech Pad, RBTC, Tek-Systems and others are pitching in on our worthwhile mission of growing the innovative and technical prowess of our area.